The Sun State Marine Services Incorporated was founded as part of the Colonial Oil Company's expansion into the Maritime Market. 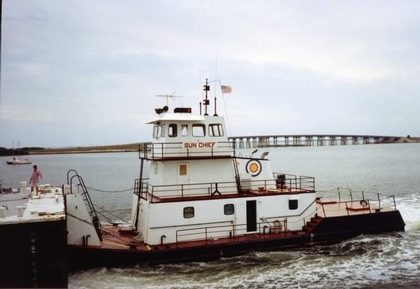 In 2002, the Chatham Towing Company merged with the Colonial Towing Company of Savannah, Georgia. To form the Chatham-Colonial Towing Company of Savannah, Georgia. And, the Sun State Marine Services fleet was integrated into the new company.